Today we are announcing the first fundraiser event for Be Interactive in San Francisco on Saturday, September 29th. 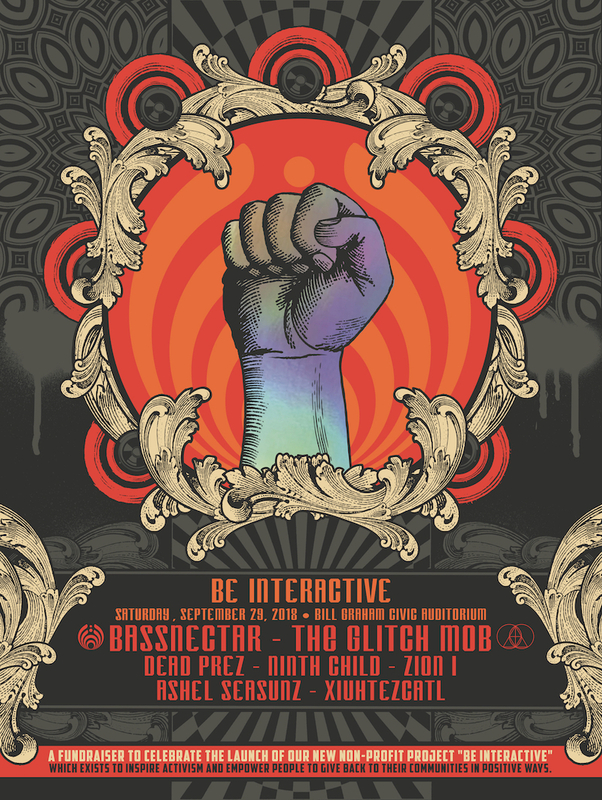 Bassnectar, The Glitch Mob, Dead Prez, Ninth Child, Zion i, Ashel SeaSunz, and Xiutezcatl Martinez are all gathering to throw down in support of this consciousness-raising cause: with a special focus on the upcoming elections and how to promote voter fairness and justice. 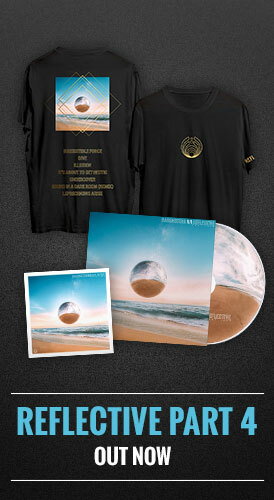 100% of proceeds go to charity, and we are aiming to raise $100,000 for Be Interactive campaigns & initiatives. Get Involved – Be Interactive Now! We will collect submissions from community members about various creative campaigns they would like to launch, almost like a kick starter dedicated to acts of giving & charity. It will be a contest of sorts, in that the finalist who is selected will be granted financial support to carry out their campaign, and interactive support & participation from our organization. While these contests will launch later in the year, you can get involved now to learn more and get a head start dreaming up your ideas. Have an issue you care about and want to tell the community more? You are invited to apply for a Facebook Story Takeover. 1. Plan what you want to say for your issue. Make sure that facts from credible sources support your words & ideas. 2. Lay out a text summary of 10-15 story “snaps” that you want to create. What will you say? Will it be your face, or will you be showing us something? 3. Make sure that your story pops: introduce yourself, give some facts about your cause, offer a challenge to help your cause that is for everyone in the US (even if they don’t have money to donate or aren’t in your area), and stay positive! The goal is to inspire people to take action. 4. 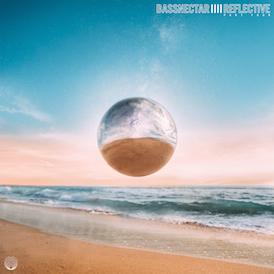 Send in your text summary, along with your list of sources, to beinteractive@bassnectar.net for consideration as soon as you can! From there we’ll have more info on how to film the videos. It only requires an Instagram account and a smartphone. Follow us on Twitter and Facebook for updates on ways you can take action, and news about the 2018 midterms + electoral reform, as well as other issues we are focusing on. Link up with our partners, and learn which important issues need your help. There are currently many primary and local elections, and you can get involved right away. Meme-makers unite! We are partnering with Equal Citizens and Electric Forest to tell the stories of why our democracy needs help in meme or video form. You do not have to be a designer to do this. You DO need to have a sense of humor. We are contributing $500 to reward five winners in the contest, and until June 17 you can also enter a challenge to participate in a live in person brainstorm session with Bassnectar at Electric Forest, as well as full weekend camping passes to either weekend of Electric Forest. 4. Look out for Be Interactive projects at our events & at select festivals. We will be tabling at info booths and engagement centers to spread information, make friends, build community, and strengthen the bonds between the Ambassadors, Bass Network, Love Here, and all our various charity partners. From hosting art gallery auctions and raffles, to running food & clothing drives, to lending a hand at community gardens: there is mucho interaction to be had at each event. If you’re heading to Bass Center, San Francisco, or any of our events this year, check in with Be Interactive online and see what projects we will be activating on-the-ground. (You can also check the Community section of the Bassnectar App.) The more of you that get involved, the better our projects will represent our community and its values. We are excited for the future!! !